Losing an arm, leg or other body part is both traumatic and devastating, but with time, effort and proper medical rehabilitation, most amputees can return to leading normal lives. If you've been in an accident that caused a loss of limb, you may be feeling stressed, suffer from depression or find yourself struggling to pay for the extreme medical costs associated with this type of serious emergency. Surgery, prosthetics, hospitalization and physical therapy aren't cheap. This, on top of missed work days and ongoing counseling, can lead to financial struggles. However, if the accident that caused your amputation wasn't your fault, you shouldn't pay the price. Approximately 185,000 amputations occur in the U.S. every year, and there are currently almost 2 million people living with lost limbs, according to the Amputee Coalition. The most common causes of traumatic amputations are labor accidents (69 percent) and traffic accidents (30 percent). During my time as an accident lawyer, I've also seen amputations caused by accidental gunshots, firework accidents, agricultural accidents and - commonly for children - trapping fingers in a door. Amputations aren't cheap. The cost of a prosthetic limb can range between $5,000 to $50,000. Amputations surgery averages $91,106. And this isn't including doctor's visits and other associated costs. In addition to the tangible costs faced by accident victims who have lost a limb or other body part, there are the intangible costs such as the physical pain, emotional trauma and loss of quality of life. Of the trauma-related amputation injuries, the National Limb Loss Amputation Center estimates that roughly 70 percent involve upper limb trauma. This means victims may have their arm, hand or fingers amputated. Even very minor upper limb amputations can lead to trouble performing a job or doing every-day tasks. More serious amputations may render you unable to perform your job. In a worst-case scenario, you could become permanently disabled by a serious amputation injury. These are all "non-tangible" costs of amputation. You should know that if someone else caused the accident that led to your amputation, Texas law allows you to recover compensation for both tangible and intangible costs. Until your child experiences a serious finger-in-door accident, you might not realize how serious an accident this can be. Although some children are lucky enough to escape with just bruising or cuts, others face trauma that leads to an amputation. This my sound extreme, but it's by no means extraordinary. According to the CDC, door injuries result in an estimated 15,000 amputation a year throughout the U.S. – and more that 45,000 children require hospital ER treatment for fingers jammed in doors each year. The most serious accidents involving children who get their fingers caught in doors typically occur at the hinge-side of the door. When a door closes, the hinge-side of the door can produce a force of 40 tons per square inch on anything that's trapped between the door and the door frame – including small fingers. This amount of pressure is enough to crack a walnut, so it’s no wonder that many finger-in-door injuries result in broken bones, amputations and other deforming injuries. As a young child’s body is obviously ever-growing and developing, serious injuries to the finger and bone can result in serious problems which could possibly require multiple surgeries. An example to this is when a door injury results in damage to the finger’s growth plate (also known as the epiphyseal plate or physis). Growth plate injuries can result in crooked or misshapen bones unless corrective surgery is done to realign the damaged bones and fix the growth plate. Depending on the severity of the injury surgical plates, screws or wires might need to be implanted. The railroad industry is big here in Texas, and though the railroads take safety extremely carefully, accident's do happen. The American Statistical Association estimates that almost 10,000 non-fatal traumatic amputations occur in the U.S. each year as a result of labor-related accidents, many of them within the interstate railroad industry. 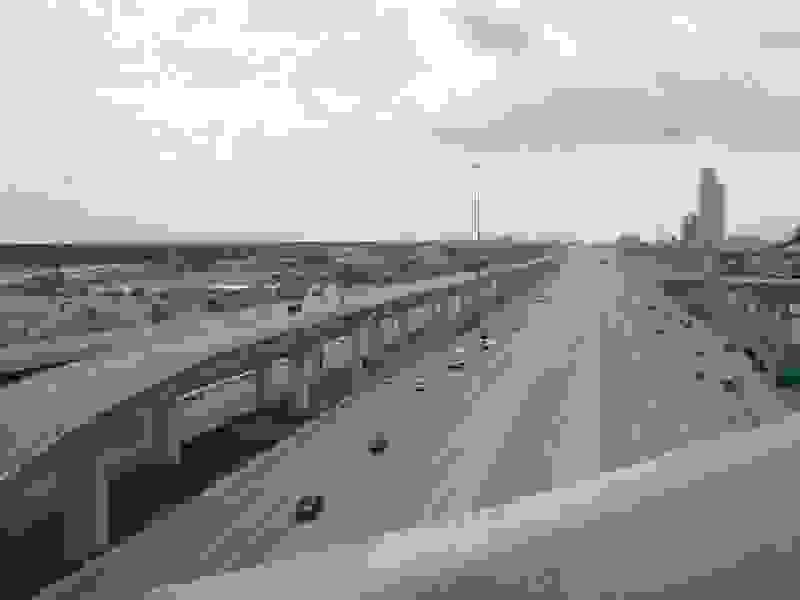 If you have suffered an amputation or any other serious injury while working for a railroad company in Texas, your legal right to compensation is covered under the Federal Employer's Liability Act (FELA). This means that you will have to hire an attorney to make a claim against your employer in order to recover the full and fair compensation that you deserve. If the accident was not anyone else's fault and you have health insurance, use it. Your health insurance will pay most of your medical bills, and if your bills exceed the policy limits, you'll need to negotiate the amount you'll pay back to the insurance company. If the accident was not anyone else's fault and you don't have health insurance, you may need to consult a lawyer to negotiate a settlement between you and the health care provider. Otherwise, those bills we be outstanding. If you suffered an amputation in an accident that was not your fault, you may be entitled to a financial recovery for medical bills, loss of work and emotional trauma. The at-fault party (and their insurance) will pay. You should consult a personal injury attorney to start a claim. If you suffer an injury on the job, your employer may be obligated to provide you with long-term disability payments or a settlement to compensate you for being unable to work. If you've been injured in an amputation accident that was the fault of another party, you likely have a lot of questions. Please contact the Anderson Law Firm in Fort Worth, Texas at 817-294-1900. It's free to ask questions, free to set up a consultation and free to hire us. 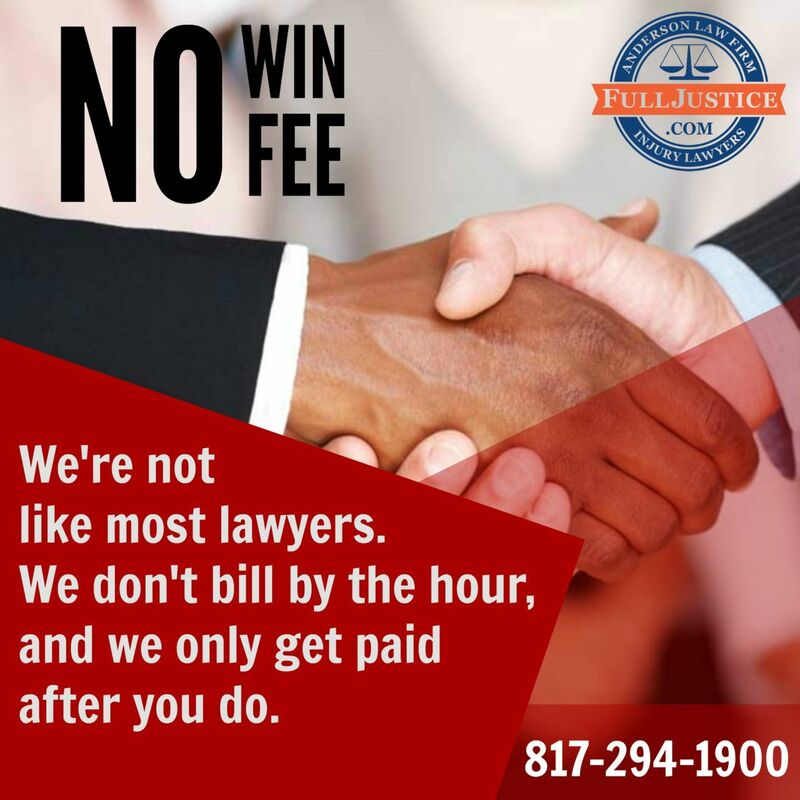 We work on a no win, no fee basis meaning you don't pay a dime until we win your case for you.